With light music playing in the background, women will be paired up into teams of two ,and Men will be paired up into teams of two. Don't worry if you are coming alone or do not have people to sign up. People will arrive early so you will have time to mingle with ice breakers and we will help create the teams. Each team will stay together throughout the event. We will have one male team and one female team stationed at a table or sofa. This male and female team (known as a group) will stay together for approximately 10-12 minutes (a round). There will be several groups stationed throughout the lounge. During each round, a different wine will be poured. 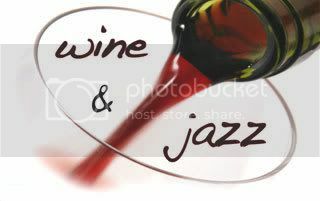 We will be tasting red, white and dessert wines. After the round is over, the men and women will complete the notescard/scorecard as with regular speed dating to indicate if their was someone they were interested in. At the end of the night you will turn in your scorecard and find out the results the next day. 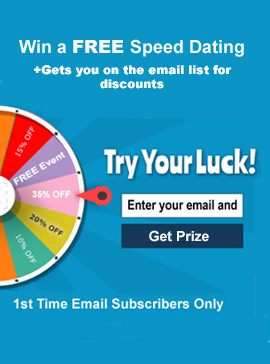 If someone picked you and you picked them, you each will receive the other persons email address. One way matches will also be provided. The ladies will stay where they are and the men will rotate to the next table or sofa. The next wine is poured and the process as described above continues. Note: During each round there will be plenty of talk time for you to get to know the other people you are stationed with. This event also includes an open bar (wine, well drinks, domestic beer) and Pasta Primavera or something similar. FAQ- Why no age 50's & above? We have tried as past speed wine tasting to include age 50's and above and had lots of great women. Unfortunately very few men in the 50+ bracket showed interest.